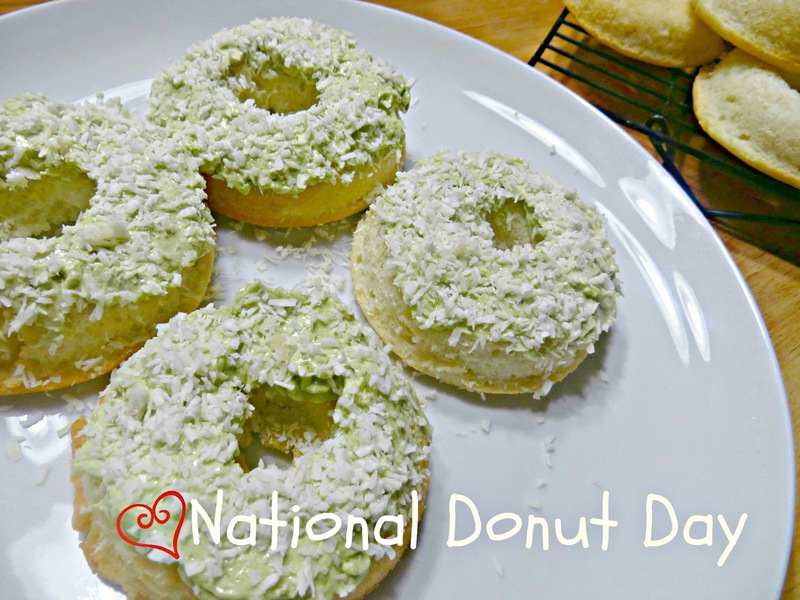 The recipe which I adapted from http://norecipes.com is for cupcakes but in my humble and late as usual observance of the National Donut Day (June 7); I decided to make cake donuts instead. Too long a name for the frosting but all that makes the delicious, smooth and creamy frosting which I'm ecstatic I still have a lot of so I can still use it for cupcakes. 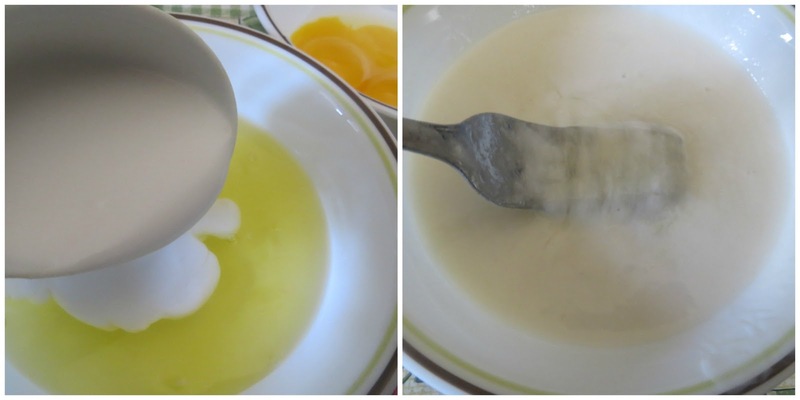 I noticed that the recipe uses the same process which I did when I made my Lane Cake which is whisking together the milk and egg whites before combining with the dry ingredients. The result is tender but not crumbly texture in the cake which is awesome. The original recipe uses 3/4 cup sugar but I think it's a little too much for just a little over a cup of cake flour so I used a half instead and it came out perfect! 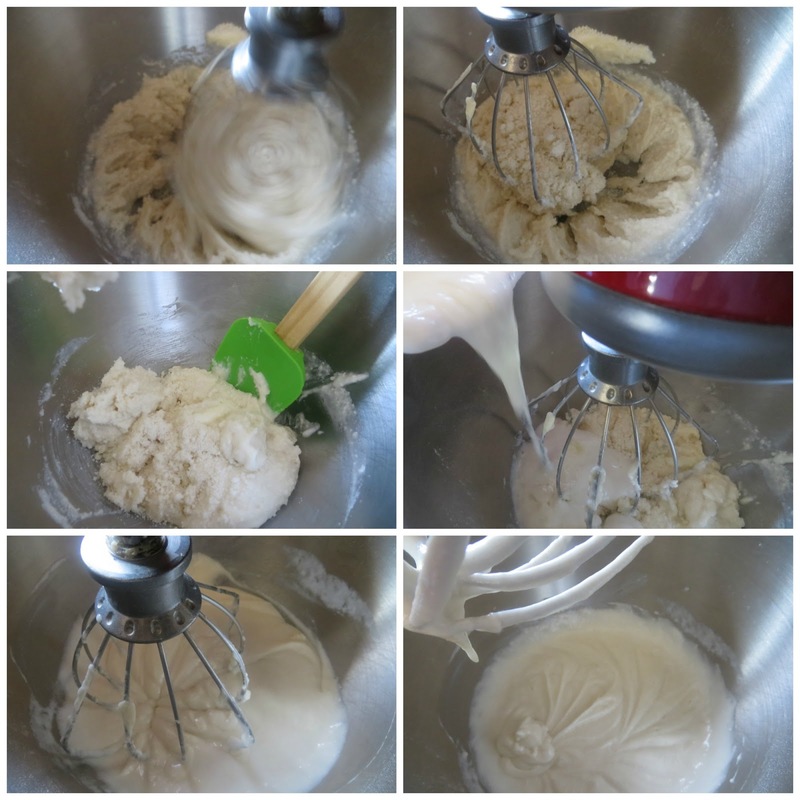 Whisk together coconut milk and egg whites. Add butter and beat until there are crumbly pebbles and no powdery ingredients left. Add half of the coconut milk/egg white mixture and beat for a minute or until smooth. Scrape down the bowl and add the rest of the liquid mixture beating until combined. Transfer the mixture to a pastry bag and fill each cavity to the rim for fuller donuts. Bake for 25 minutes or test if skewer inserted in the middle comes out clean. 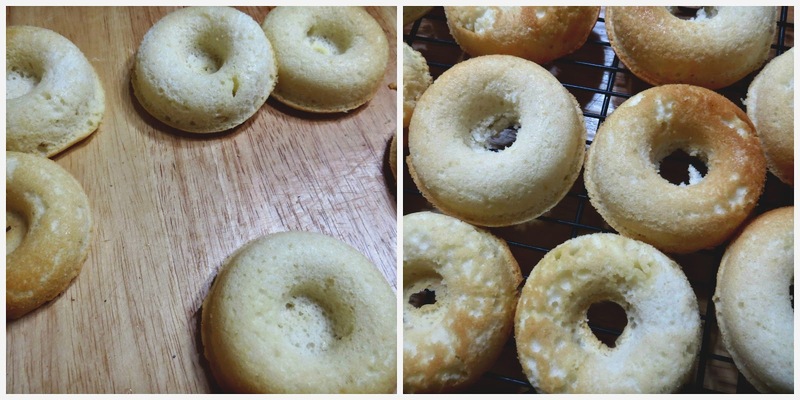 Remove from the oven and invert the pans in a clean surface to release the donuts. Transfer to a wire rack to cool completely. Now it's time to make the frosting! Meanwhile beat the egg whites until firm peaks form. With the mixer on medium, slowly pour the sugar mixture down the side of the mixer bowl (careful not to pour it on the whisk directly or you’ll splatter really hot syrup all over the place). Whisk until the egg whites have cooled off. Add the butter 1 Tbs at a time. If the butter is too cold it will clump, but don’t worry, just turn up the mixer a little and it will smooth out. If the butter is too warm, it will look runny, but again don’t worry, by the time you’re done adding butter it will firm up. Add the cooled melted chocolate, the matcha powder and a drop or two of peppermint oil (this stuff is potent, and you don’t want it to overpower the matcha) and whisk on high until smooth and fluffy. If it still looks too loose, put the whole bowl in the fridge for a few minutes then whisk it some more. Spoon or pipe a good dollop of frosting on each donut. I sprinkled the tops with unsweetened grated coconut. This is how they actually look. Not too green but definitely matcha tea with a hint of peppermint. The sweetness comes from the white chocolate- all these flavors with unsalted butter and the result is creamy, smooth, just rightly sweet buttercream frosting! And inside is light, airy, velvety - and it's not fried! What's not to like in these donuts? And I made these from scratch! I hope you had a wonderful National Donut Day yesterday! I did not but late is better than never!